After working on my Designer's Notebook article in the Spring issue (download here) I fell in love with everything FEATHERS!!! They are so light and airy and they lend themselves to so many design possibilities. I wear them on my clothes and in my ears and I also fashion them into fun gift tags!! Take a look…. This little feather tag took minutes to create and I think it will make the perfect add on to a gift bag or wrapped gift. You could even replace the sentiment with a name and use it as a place card. Monday inspiration with Virginia...and some winners! Happy Monday! I am really looking forward to the beginning of May and the gardening season, just this past weekend I saw some gorgeous pansies on the shelves at my local garden centre. With flowers on my mind I couldn’t resist making a pretty floral card. I usually gravitate towards cardstock die cut stickers, journal cards, labels, and tiny alpha to make cards. Manufacturers coordinate these elements beautifully for us so it’s a breeze to just peel, stick, and layer your card. Along the bottom of my card I added a simple pleated paper ribbon which I’ll share how easy-peasy it is to make on Wednesday! Have a wonderful day! See you Wednesday! Winners!!!! We've had a few giveaways that we have yet to announce winners so today is the day to see if your name is below SCT friends! $50 Paper Smooches gift certificate! Hopefully your name was on our list of winners!!! Please email ideas@scrapbookandcards.com and we'll get those prizes on the way to you! Have a wonderful Monday! The SCT team is gearing up for Crop & Create Burnaby this weekend. We have opened up registration to one day only options so if you are in the area and want to join us for a fantastic National Scrapbook Day event either Friday or Saturday, just click here for all the details! We have designers Vicki Boutin, Kelly Goree, Summer Fullerton, Margie Aslett-Romney from Bazzill, Beth Kingston from Xyron AND Elle from Elle's Studio is joining us too! It will be a weekend to remember for sure and we hope to see you there!!! A reader's project we just had to share! Well, isn't that the truth! Today is a glorious spring day and we just loved these beatiful painted screen and embroidery hoops with words, flowers and ribbon from reader Delaina Burns of Alabama! Have you worked on any great spring themed home decor projects lately? If so, we would love to see them. Please send them to us at ideas@scrapbookandcards.com or link them in the comments section below! Hope your day is as sunny as it is here today. And if it isn't, then it's a PERFECT day to be crafting!!! Mix and match with Pebbles! Do you typically buy a full collection or do you pick and choose? We love that many manufacturers are now providing papercrafters with that option...including our friends at Pebbles! Check out the fun mix and match projects from some of their designers! Here are some other fun projects from the Pebbles Mix & Match Monday blog! Designed by Vivian Masket using Pebbles Basics, Love You More, Party, Seen & Noted and Walnut Grove! This layout was designed by SCT design team member Christa Paustenbaugh using several Pebbles lines including Seen & Noted, Family Ties, Walnut Grove and Tricks and Treats! 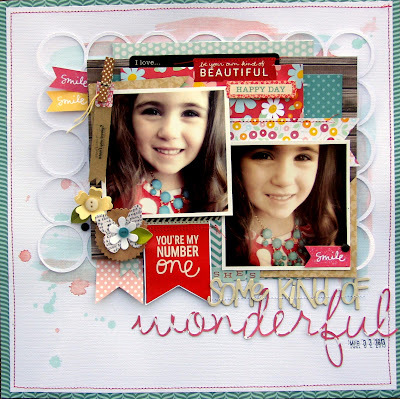 Nicole Nowosad created this beautiful layout using Sunnyside, Seen & Note, Walnut Grove and Love you More! Amazing! A great "tear off card" with Becky Fleck! Good morning, everyone! I haven't popped onto the blog for a while, but I do lurk here in the background. :) Isn't SCT just the greatest place to hang out for how-to's, inspiration, give-aways and eye candy? I think so! My card today was inspired by the grocery store. Yes, the place we all get milk and eggs! A few weeks ago, I was in need of someone to help me tear down an outbuilding on my property. Since I live in a tiny town, all of us locals find most of our resources from the huge bulletin board at our grocery store! So there I was, staring at flyers in search of a handyman, and this "tear off" card instantly popped into my head. I figured if I could tear off a phone number, why not apply that same theory to a card? I created it for a good friend who is going through a rough time in her life, and I know she will love it. With this design idea, image all of the themes you could create! I would love to see your version of a tear off card. Please share! Come meet Margie from Bazzill Basics...and Crop & Create teacher! Hello scrapping, papercrafting friends! Blogging from my studio this morning in Utah where I live with my adorable husband! We just celebrated our 27th Wedding Anniversary this past weekend! I am so excited to be coming back to Canada to teach at Crop & Create Burnaby! Catherine thought it would be fun for you to get to know a little bit about me! I am a Wife and a Mother to 4 beautiful children, 2 daughters, Meg 26, Brooke 22, and two sons. Max 21 and Griffin 20! My husband and I are empty nesters, and we LOVE it! I have been working in the Scrapbooking industry for almost 15 years. I started at the store, Scrapbooks Etc. in Mesa Arizona working and teaching. I am a scrapbooker at heart. I love it. I started scrapbooking the year I had my oldest daughter Megan 26 years ago. I have worked for some amazing companies and have gotten to teach all over the world! I have taught all over the US, Canada, Europe, Australia and South Africa! It blows my mind to think of the amazing places I have been and the wonderful, creative women I have met! I have been working with Bazzill Basics Paper for almost 2 years as their Art Director! I love my team and working with Bazzill Basics Paper is a dream. They are located in Arizona so I get to work from my home studio. A typical day for me is working or creating in my studio, lunch with my husband Grant who has a home office too. On Tuesdays I meet with the Bazzill Basics Paper design team where we discus new product, look at art for new lines, share new ideas and approve product that is coming out. Dream job right? I am blogging now on the Bazzill Basics Paper Blog on Fridays so please join me there as I love sharing ideas and inspiration! As the Art Director for Bazzill Basics Paper it’s my job to stay current with style, design and industry trends. I spend hours on-line looking at design blogs, home décor and fashion blogs! Pintrest keeps me inspired for hours! 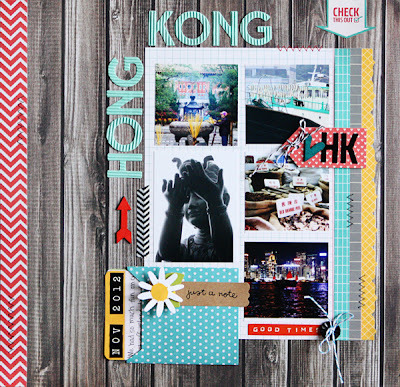 I love seeing what everyday scrapbookers are creating and what products they are using! Some of my very favorite things that inspire me are color, anything old, and textures. That’s what I love about the lines that I have created for Bazzill Basics Paper. I have always LOVED the textured cardstocks and can honestly say has been the only cardstock I have ever used! I love that at Bazzill we have put a texture onto our latest Printed lines. I love designing paper, working with talented graphic designers that take my ideas and help me create my lines! I love Vintage! All of my lines have something old to them. Old papers, images, or even old quotes that I have collected. I try to do something creative every day. It’s not just my job. It’s a lifestyle. I love creating scrapbooks, mini books, this year I am doing Project Life, I smash, and am constantly creating something for my home and the on-line classes that I teach. Most of my friends are creative too, they either work in the creative field or are bloggers etc. I love getting together with them to “play.” I love that I can teach all over the world and meet new women who have a love for Scrapbooking like me! My circle of friends grows because we have a shared love! Catherine gave me a list of the Fast Five, I think are fun questions to help you get to know more about me! 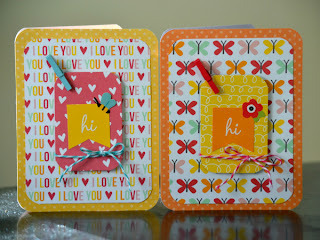 Patterned paper or embellishments: Both! Frills and lace or tailor made? Frills for sure! In this class you will complete a full 20 page album! No joke! I'm looking forward to joining my Canadian friends!